Set of 2 Baker's Secret 10-by-16-Inch Nonstick Cooling Rack Just $8.29! You are here: Home / Great Deals / Amazon Deals / Set of 2 Baker’s Secret 10-by-16-Inch Nonstick Cooling Rack Just $8.29! Set of 2 Baker’s Secret 10-by-16-Inch Nonstick Cooling Rack Just $8.29! 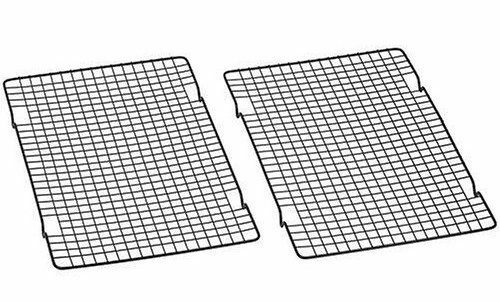 Order the Baker’s Secret 10-by-16-Inch Nonstick Cooling Rack, Set of 2 for just $8.29 (reg. $20).